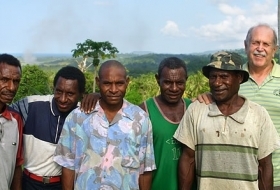 Higaunon believers are responding to another village's interest in hearing God's Word. Laughs help when plowing through nearly 3,000 verses. Missionaries are training Higaunons to teach and lead the church. Old Testament stories get intense response from those hearing them for the first time. 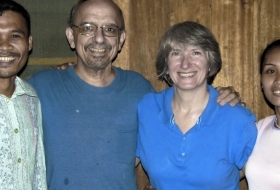 Missionaries Lance and Laura Ostman return to their home village to work as Bible translators. The Higaunon church is asking for people to pray for dry weather. This is their planting season, but it’s raining, and without dry weather they cannot prepare the fields and plant. 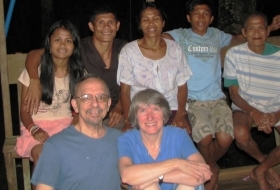 And without a good rice harvest, the Higaunon believers do not feel they can host a meeting to present the Gospel to people from other villages. 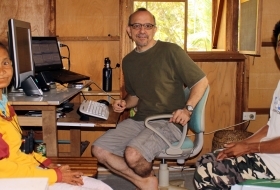 Lance Ostman is translating the book of Proverbs into the Higaunon language. He says, "The parallelisms in this book fit right in with the Higaunon language but some of the concepts are quite challenging. Please pray for wisdom in how to translate." 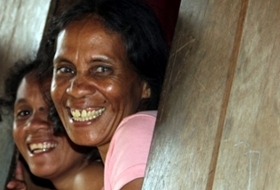 The Higaunon woman and her family can now hear God's Word.